Ever wonder how to make your kidney transplant last as long as possible? So did Paul. 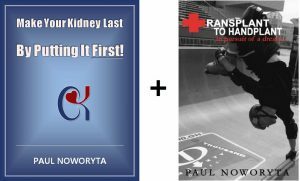 After 30 years of post-transplant experience and becoming a professional extreme athlete, he’s figured out some incredibly important factors and wants to share them with you. 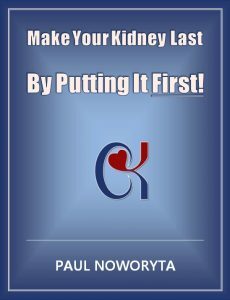 His 40 page booklet details everything you want to know about extending the life of that kidney including 5 “Kidney Killers” to avoid at all costs and the MUST know 50 factors to make your kidney last.